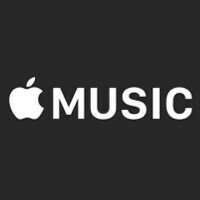 Need to take a guided tour of Apple Music? All you need to do is follow the pair of videos released today by Apple. The first one, titled "New," shows you how to easily discover music on the app. Clicking on the music app, and tapping on New, shows you featured albums on top of the screen, along with videos and information about the Beats1 radio station. The featured albums and videos are curated by Apple employees. The screen also shows "Hot Tracks." If you choose to listen to one of these tunes, you can click the three dots on the right side of the listing to "Love it," create a new radio station based on the song, or to share the tune with others. On the main New page, go to the activity playlist to find recommended songs based on your current activity. There is music to chill by, study by and even tunes selected for running and for romancing. All of the categories in the New section have their content revised weekly. The second guided tour shows you the section called For You. This part of Apple Music finds music playlist recommendations based on the music you listen to. The lists are updated several times a day to keep them "fresh and interesting." If you don't like a recommended playlist, you can always let Apple know what genres of music you are into at the moment. In a couple of days, millions of Apple Music users will have hit the end of their three month free trial meaning that they will have to pay up for future use of the feature, or give it up. Last month, there was a report that 11 million people had signed up for the free trial, so it should be interesting to see what these people decide to do. The service costs $9.99 for one month, or $14.99 a month for a family of up to six people. Spotify still leagues ahead of Apple Music.